So far Indonesian authorities have counted 1,407 dead from the double disaster on Sulawesi island, a toll expected to rise as they reach outlying areas. Some 519 victims have already been buried. Rescuers are searching for what they believe are 152 people still trapped under rubble. Among the survivors, 70,821 people have been displaced and are now being housed at 141 locations. The race is on to get them food and other essential supplies. But the scale of the problem may be much bigger than that. The United Nations' disaster relief agency says up to 191,000 people are in urgent need of assistance, with more than 934 communities likely affected. 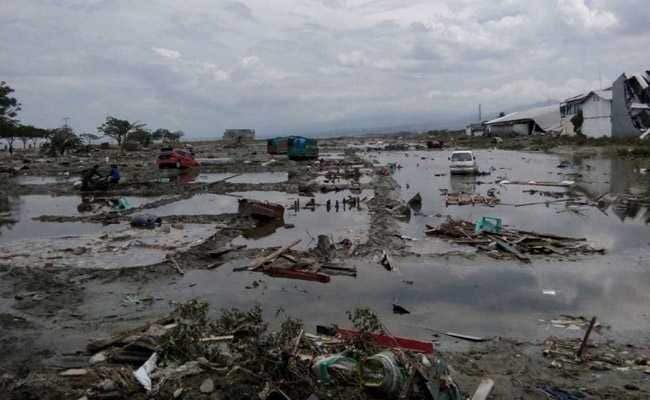 The World Health Organization estimates that 310,000 people have been affected at the quake's epicentre in Donggala regency, along with 350,000 in neighbouring Palu. The road to recovery will be long. More than 600 schools and tens of thousands of homes will have to be patched up or rebuilt, a task made more difficult by more than 350 aftershocks. Indonesia's military has taken the lead in the recovery effort, flying in supplies and evacuating survivors on C130 Hercules transport planes. Among those evacuated are 120 foreigners -- two less than originally thought -- including 32 from Thailand and 19 from Germany. In total the government has deployed 3,169 military personnel as well as 2,033 police officers. They are being called on to keep the peace, with looting leading to at least 65 arrests. The military will be assisted in the relief effort by international organisations and at least 29 countries who have offered everything from sarongs to geospatial mapping services. Singapore has also offered two Hercules, South Korea two more, the United Kingdom one and Japan two. According to the United Nations' estimates responders will need to supply 571,000 litres of water a day -- or enough to fill an Olympic-sized swimming pool every four days -- and 659,000 square metres of shelter, around one and a half times the size of Beijing's Tiananmen Square. They will also have to provide the region with around 401 million calories' worth of food a day, or the equivalent of around 1.8 million Big Macs.